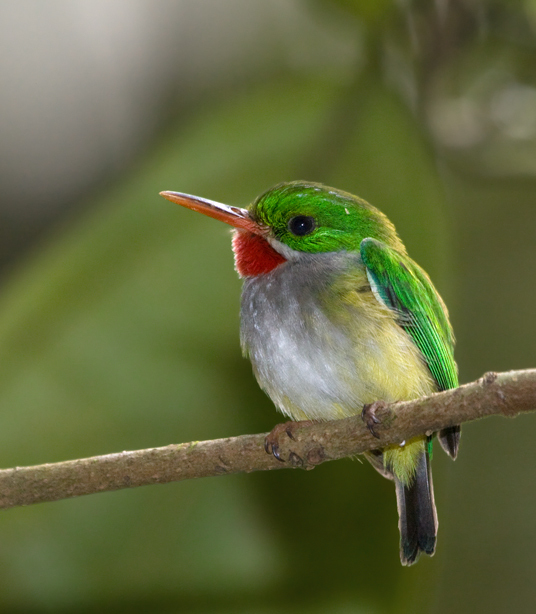 Above and below: The endemic Puerto Rican Tody is a stunning and delightfully common resident in Puerto Rico (4/6/2009). 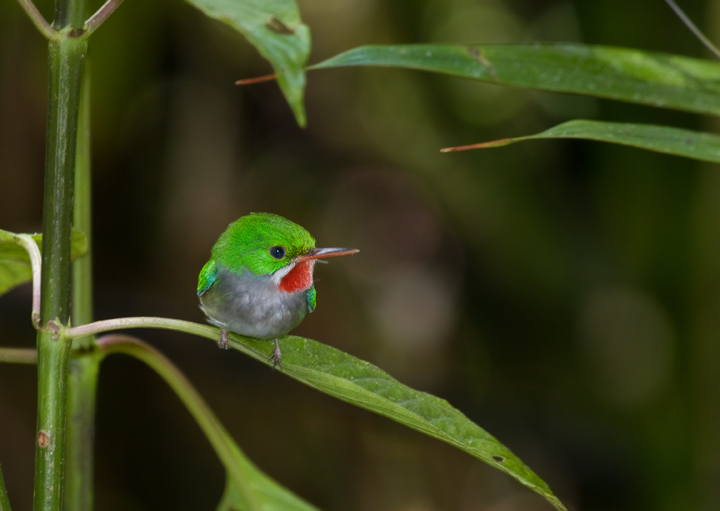 Although tiny, it behaves like a flycatcher, waiting for insects and flying out to catch its prey. 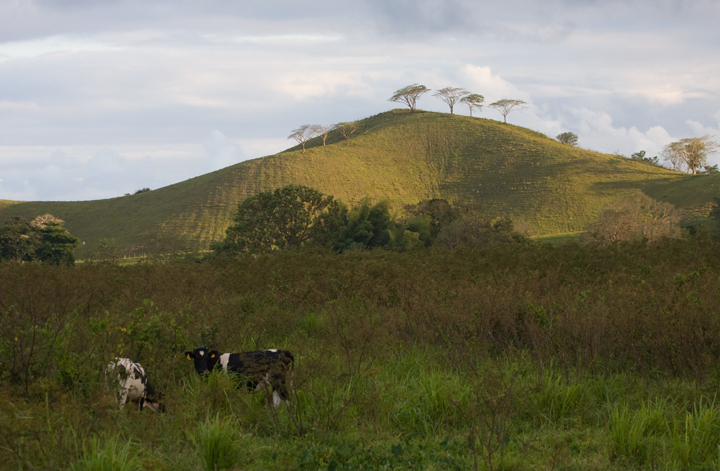 It nests in a burrow that it excavates in an exposed slope. 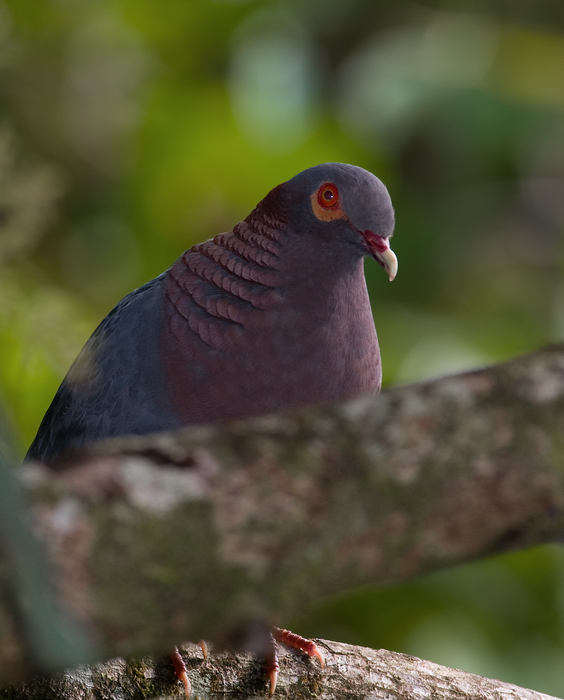 Below: Although widespread, Scaly-naped Pigeons are especially common in the mountains of Puerto Rico. 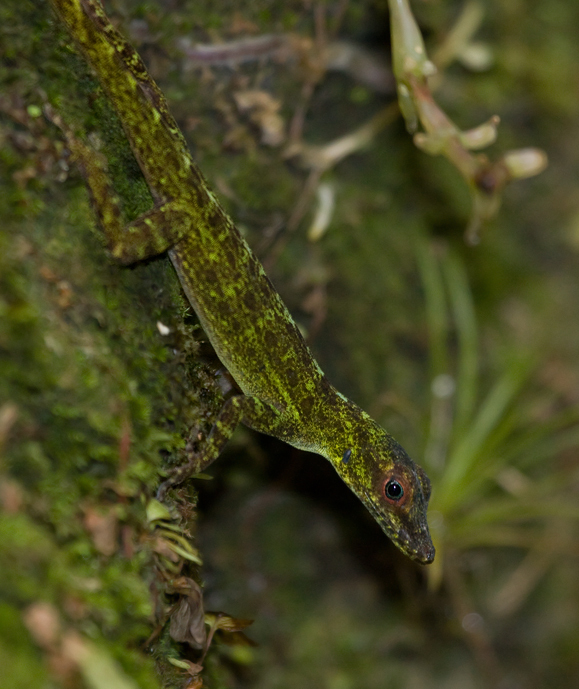 Below: One of my favorite lizards of the trip, the Emerald Anole (Anolis evermanni), a Puerto Rican endemic, on the south side of El Yunque (4/5/2009). 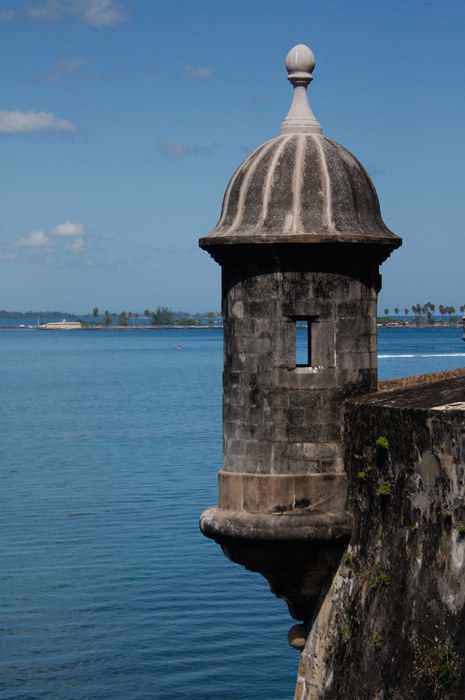 Below: El Morro in Old San Juan, Puerto Rico. 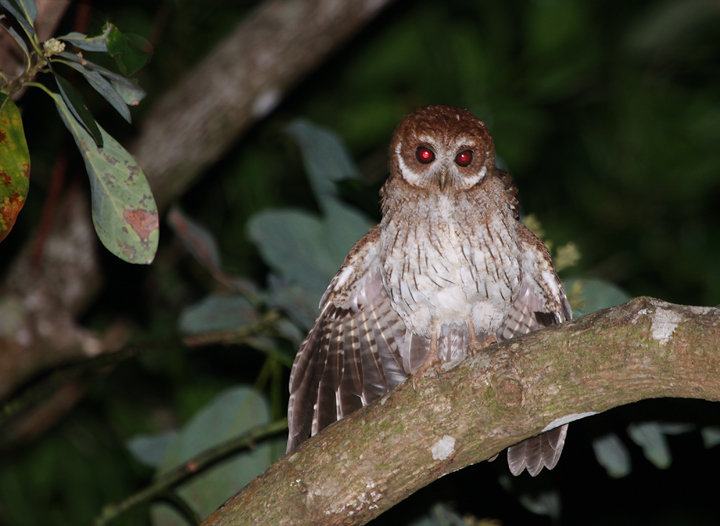 Below: A Puerto Rican Screech-Owl that was trilling outside of our hotel room near El Yunque. 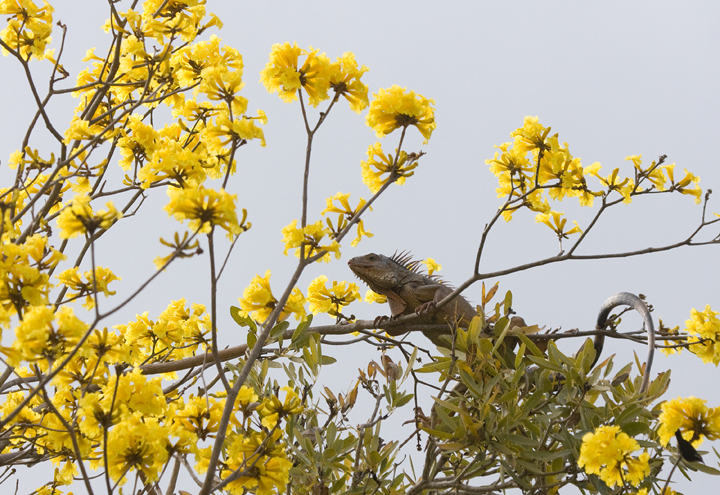 Below: A large Green Iguana in a flowering tree at the Jardin Botanico in San Juan (4/8/2009). 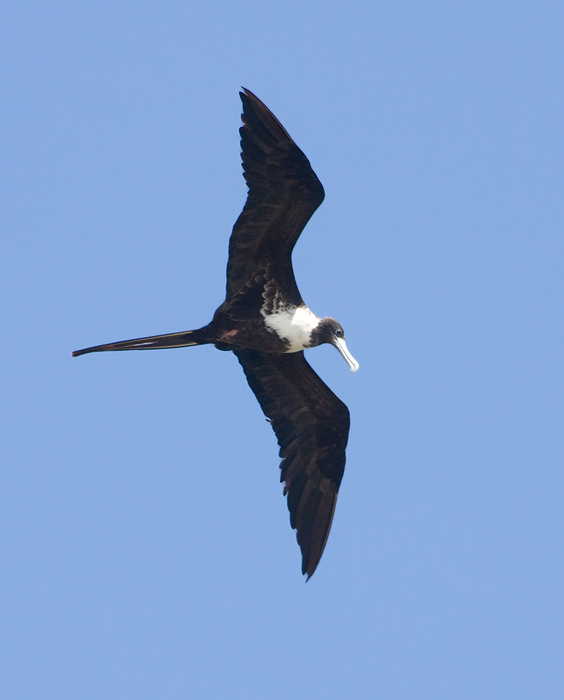 Below: A female Magnificent Frigatebird soars over Old San Juan (4/7/2009). 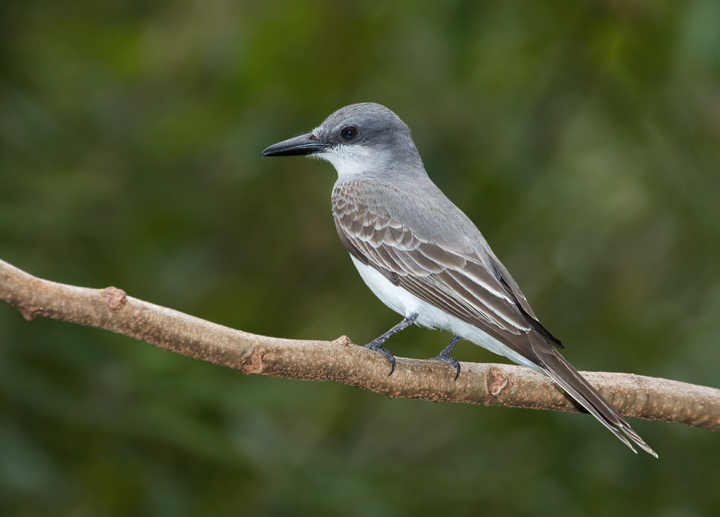 Below: Gray Kingbirds are truly abundant in Puerto Rico and we found them everywhere except in deep forests. 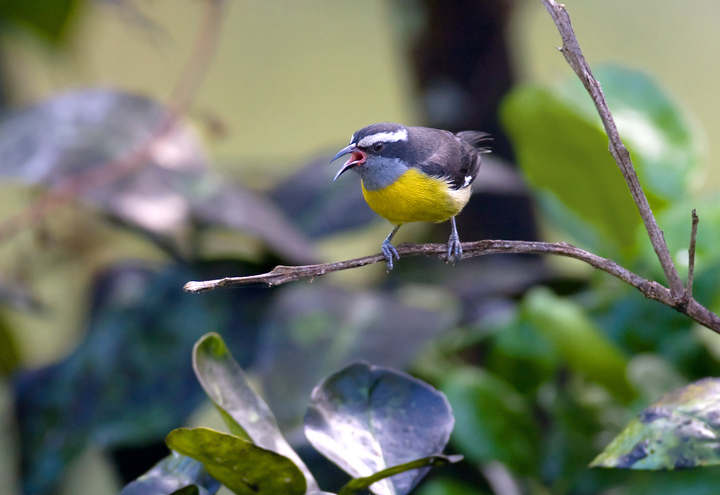 Below: Bananaquits are by far the most abundant bird species on the island. 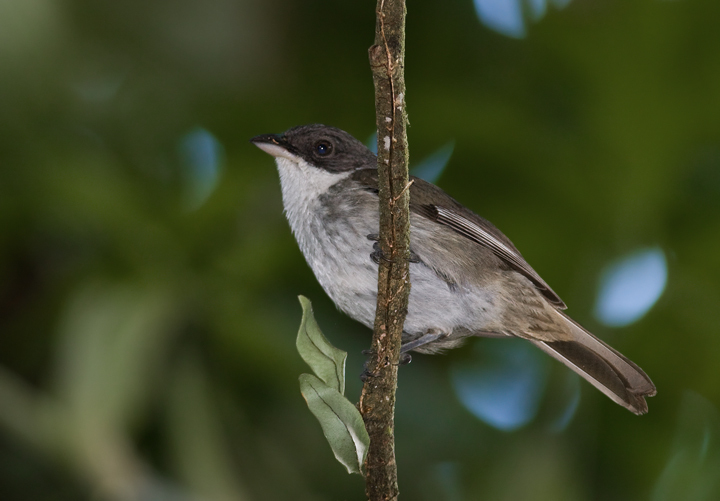 Their incessant calls are almost never out of earshot and they are found anywhere with trees or flowers. 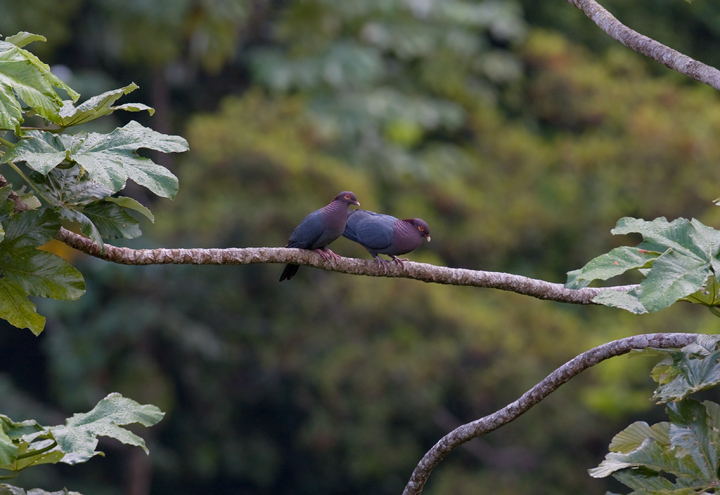 Pairs were even nesting on patios in Old San Juan that happened to have a potted plant or two. 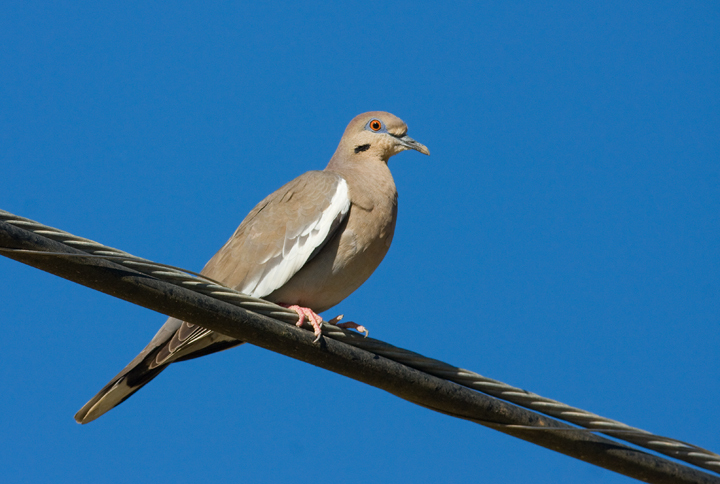 Below: Another abundant and widespread species in Puerto Rico, the White-winged Dove (4/6/2009). 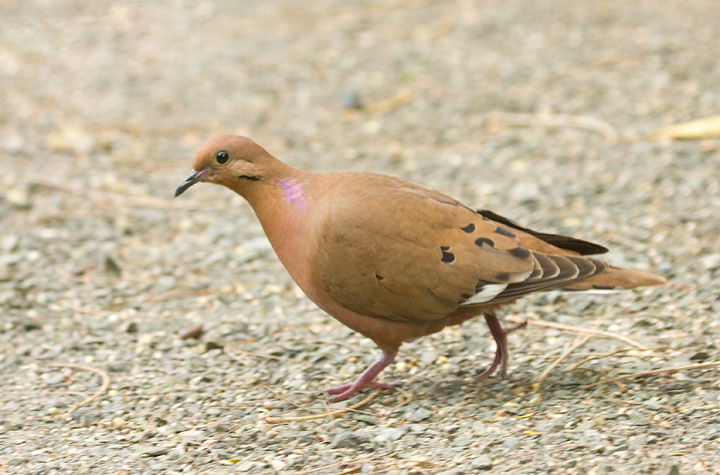 Below: A Zenaida Dove in the Jardin Botanico in San Juan. 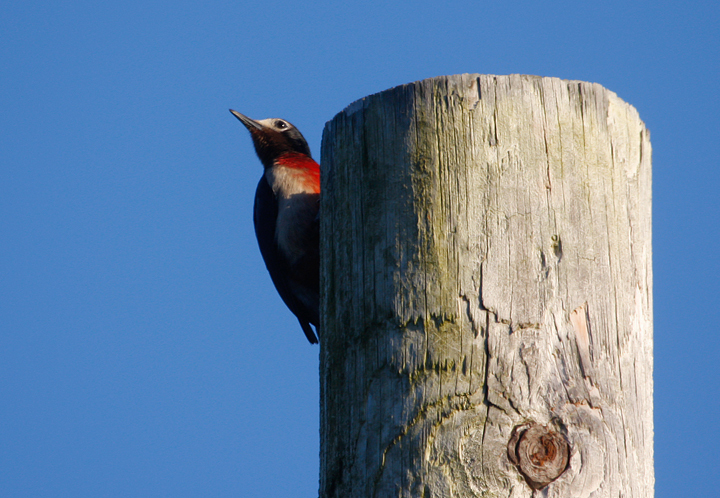 Note the white-tipped secondary feathers. 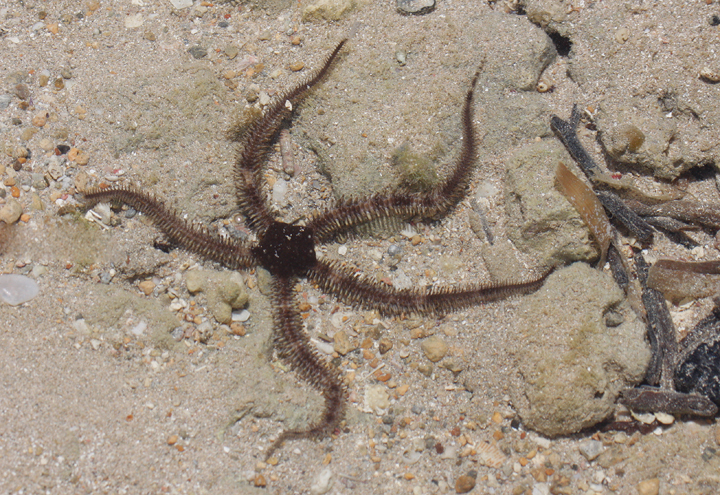 Below: Exploring some tide pools near Guanica, Becky found a couple Brittle Stars. It was great watching them propel themselves to their next hiding spots. 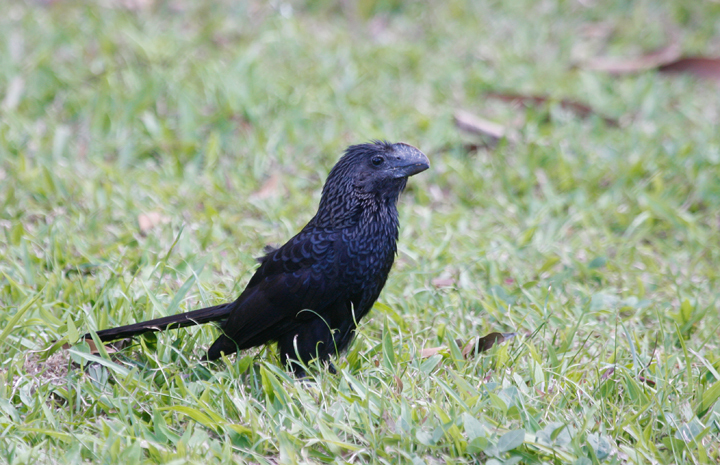 Below: A Smooth-billed Ani at the Jardin Botanico in San Juan (4/7/2009). 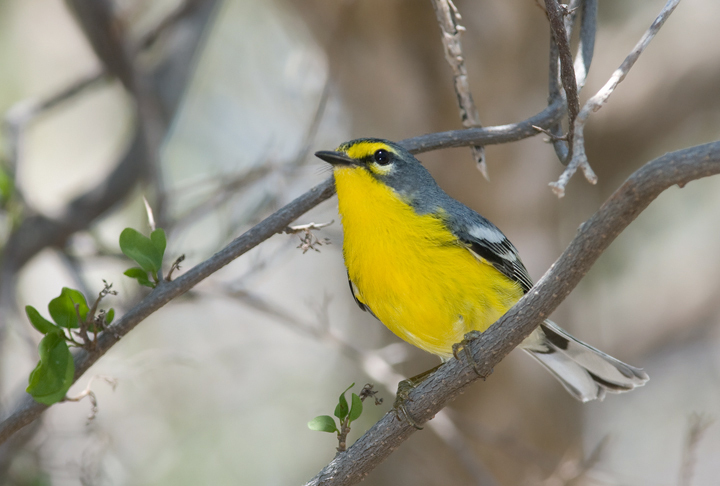 Below: Adelaide's Warbler, another species found only in Puerto Rico, is abundant in the more arid southwestern corner of the island (4/8/2009). 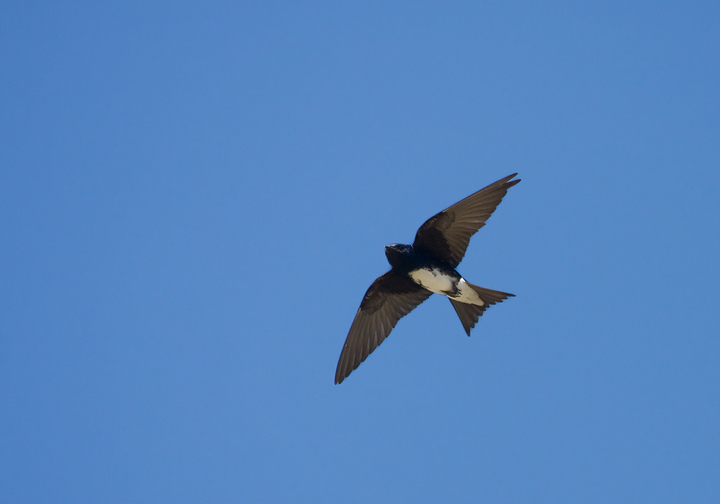 Below: A Caribbean Martin soaring over El Morro in Old San Juan (4/7/2009). 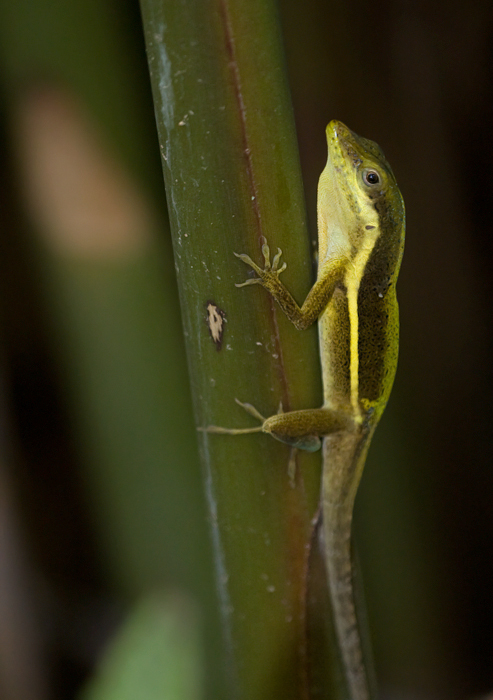 Below: Another striking, endemic lizard species, the Upland Grass Anole (Anolis krugi) near El Yunque (4/5/2009). 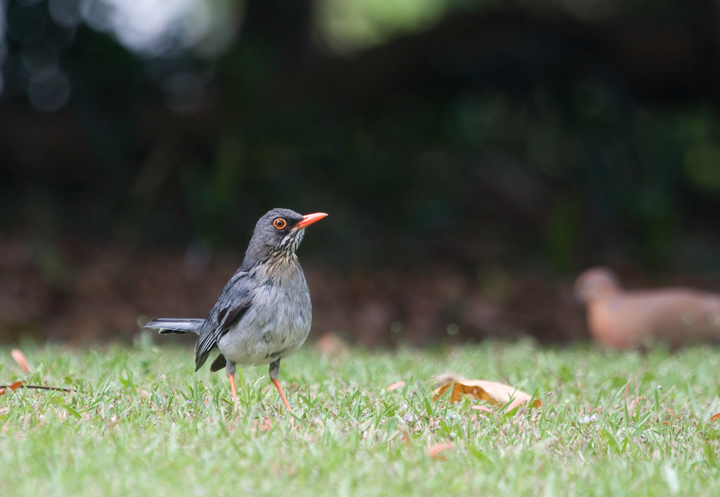 Below: A Red-legged Thrush at the Jardin Botanico in San Juan (4/7/2009). 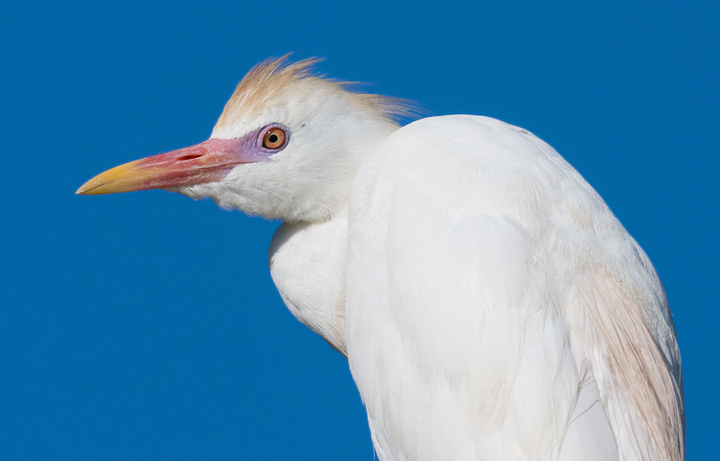 Below: A Cattle Egret in high breeding plumage in eastern Puerto Rico (4/6/2009). 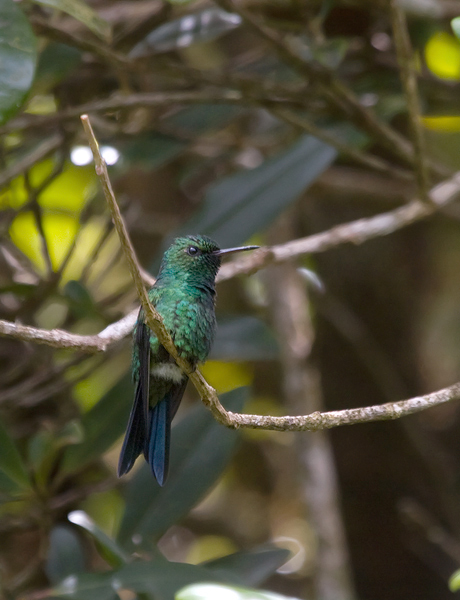 Below: A male Puerto Rican Emerald in El Yunque rain forest, Puerto Rico (4/9/2009). 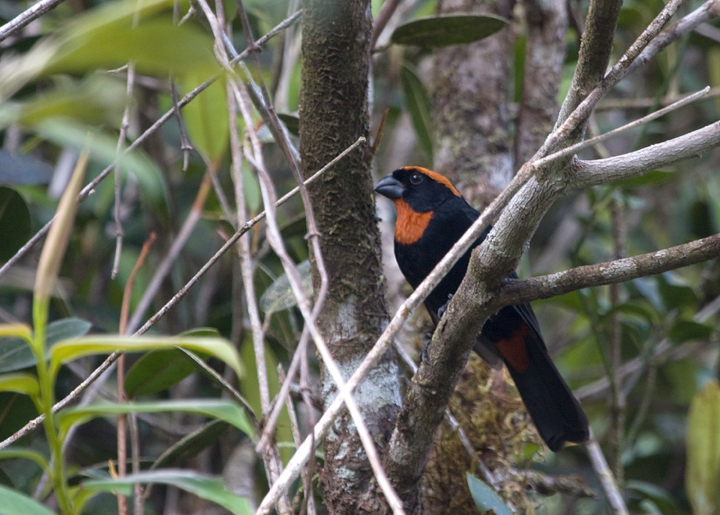 Below: A male Puerto Rican Bullfinch at El Yunque (4/9/2009). 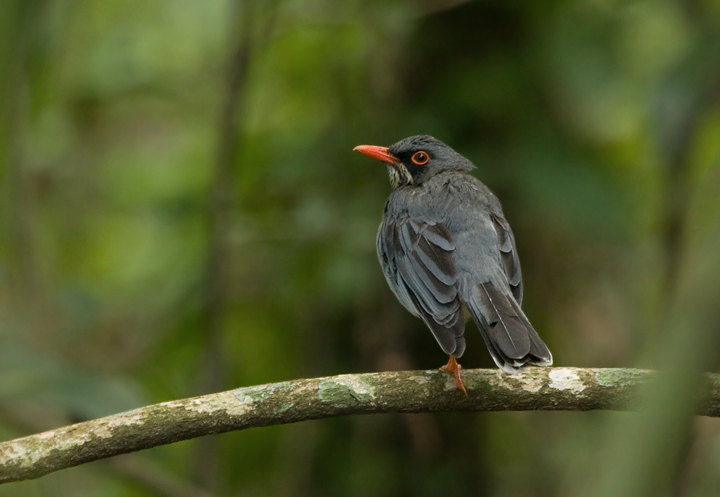 Much more often hear than seen, its song sounds like Northern Cardinal followed by a trill. 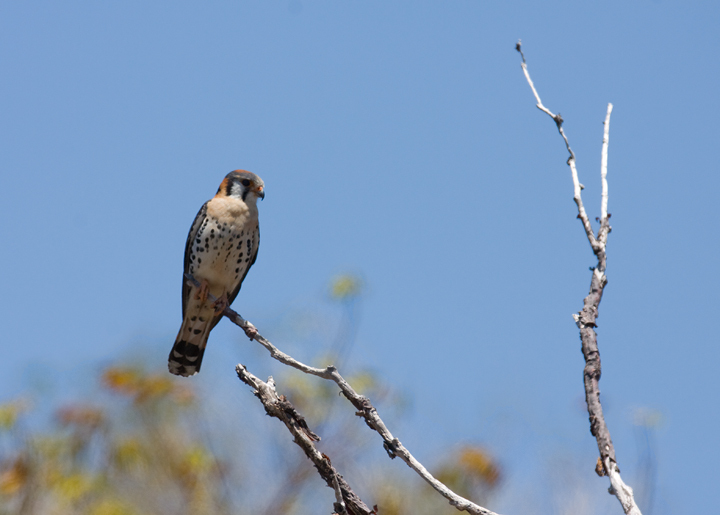 Below: An American Kestrel in Bosque Estatal de Guanica, Puerto Rico (4/8/2009). 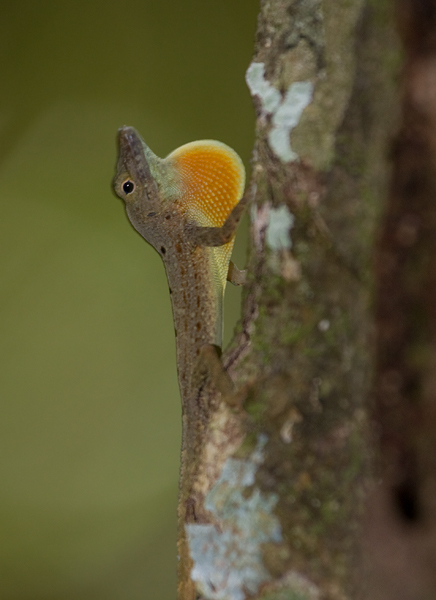 Below: Puerto Rican Crested Anole (Anolis cristatellus) near El Yunque, Puerto Rico (4/5/2009). 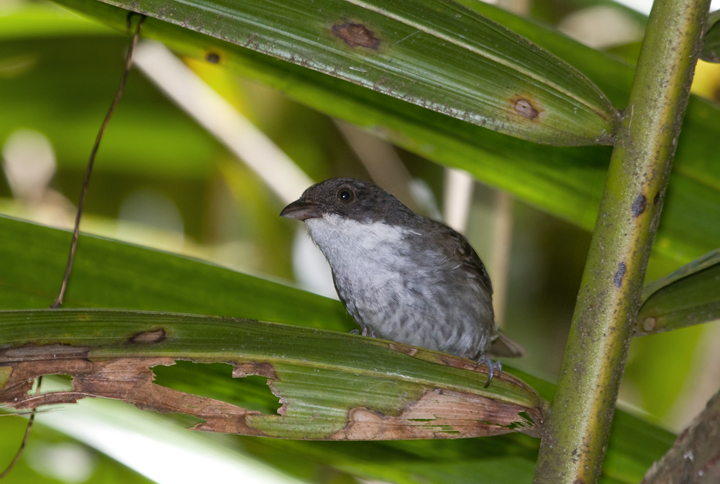 Below: Puerto Rican Tanagers at El Yunque, Puerto Rico (4/5/2009). 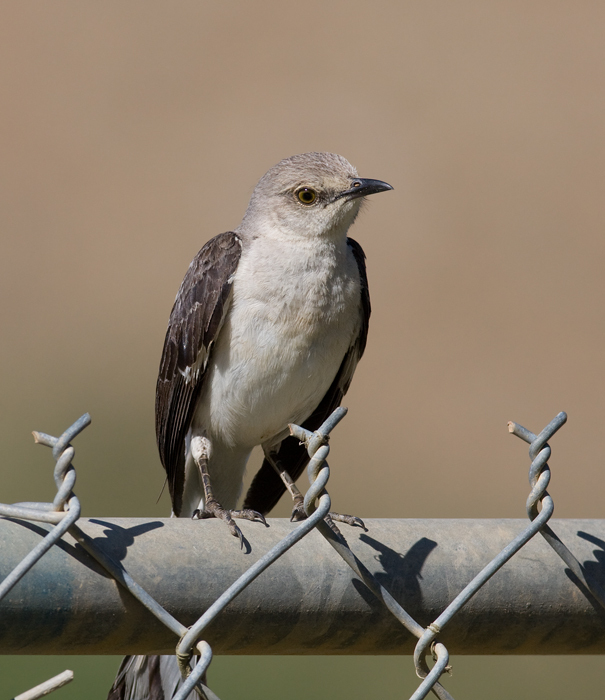 Below: A Northern Mockingbird in eastern Puerto Rico (4/6/2009). 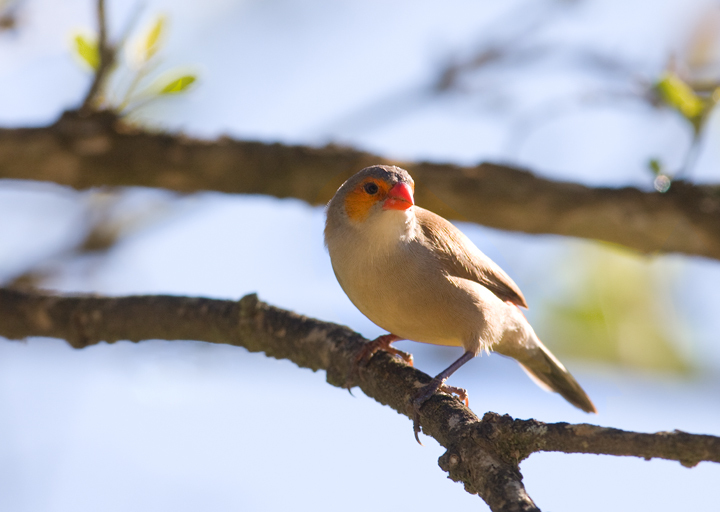 Below: An introduced species, the Orange-cheeked Waxbill, in eastern Puerto Rico (4/6/2009). 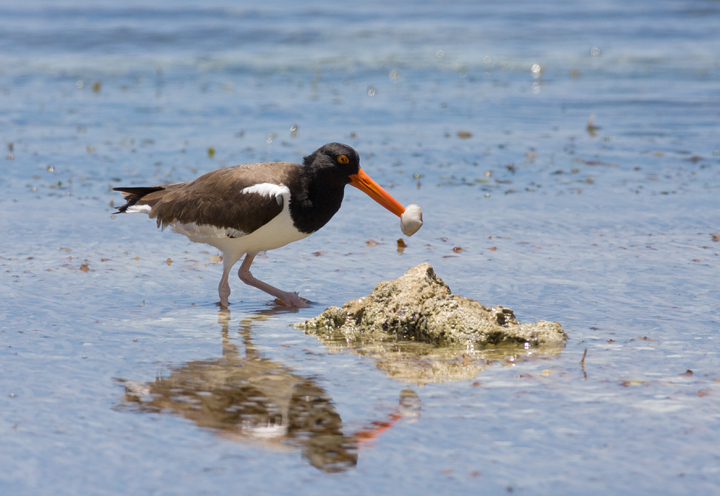 Below: An American Oystercatcher helps itself to its namesake delicacy near Guanica (4/8/2009). Below: A late afternoon scene near the small town of Naguabo, east of El Yunque.